On Friday night, Bellator returns to the Winstar Resort and Casino in Thackerville, Oklahoma with Bellator 210. Prior to the main card on Paramount Network and DAZN, FIGHT SPORTS will have the Preliminary card on FIGHTSPORTS.TV that features a lightweight showdown between Daniel Weichel and Goiti Yamauchi. Weichel, a natural featherweight, moves up to 155 pounds as he looks to stay active inside the Bellator cage. Speaking with FIGHT SPORTS prior to fight night, the German born fighter looks to bounce back after his close loss to Patricio Pitbull at Bellator 203. Across the Bellator cage from Weichel is Goiti Yamauchi, who Weichel respects for his fighting ability, but feels he will stop Yamauchi before the scorecards. Yamauchi, who has only lost in Bellator by decision, doesn’t care what Weichel thinks what will happen on November 30th. “I’m in this business because I think I’m the best”, Yamauchi said last week. Weichel-Yamauchi are a part of the Bellator 210 Prelims, prior to Bellator 210. Bellator Prelims air at 7:30pm ET on FIGHTSPORTS.tv, with the main card going live at 9pm on Paramount Network and DAZN. 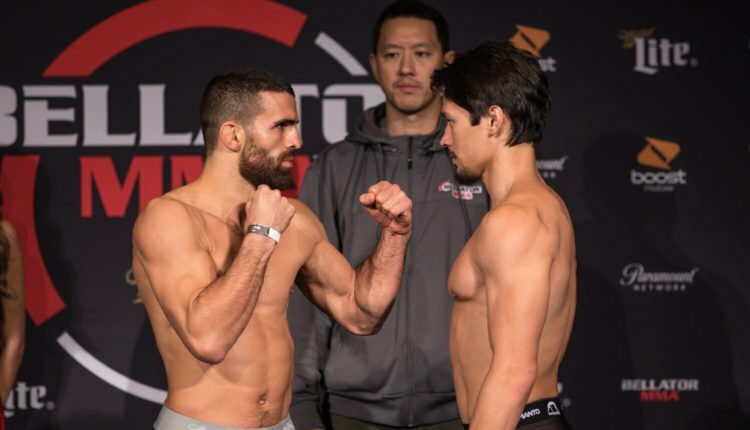 Before Goiti Yamauchi faces off against Daniel Weichel at Bellator 210. Here are FIVE things you didn’t know about the Bellator lightweight.